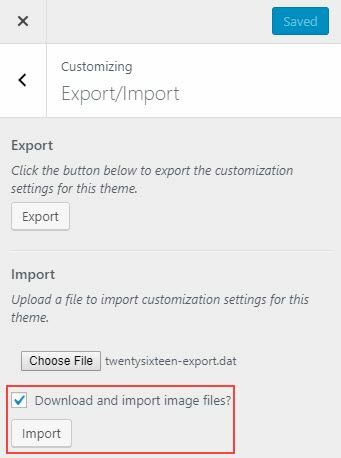 The Customizer Export/Import plugin allows you to export or import customizer settings so you can perfect the look of a theme on a site then export and reuse your theme presets on numerous sites. This is a quick way to apply the same theme settings to multiple sites. Any settings that are stored as theme mods such as header images, logos, background image, colors can be exported and imported using this plugin. It can’t handle widget settings, “Site Title & Tagline” information or custom menus since these aren’t stored as theme mods. 1. Customize the theme on your site until it’s perfect. 2. Go to Appearance > Customizer to launch the Customizer. 3. Click on Export/Import in the Customizer. 5. This downloads the export file for the theme you are using to your computer as a .dat file. 1. 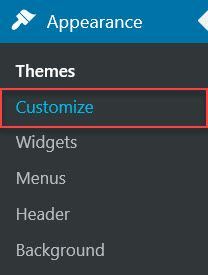 Go to Appearance > Themes and make sure the same theme is activated on the site you are importing into. The export file is named after the theme you are using and can only be used to import settings for the theme they came from. 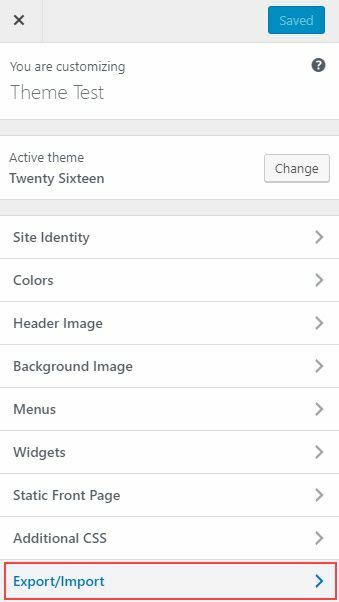 For example, if site exported from is using the theme Twenty Sixteen then the site you are importing into must have the theme Twenty Sixteen activated. 4. Click on Choose File and browser to locate the export file you saved on your computer. 5. Select “Download and import image files” and then click Import. 6. This will import all settings handle by theme’s Customizer. It doesn’t import any settings that aren’t stored as theme mods. For example, it can’t handle widget settings, “Site Title & Tagline” information or custom menus. Any custom theme settings created by theme developers that are defined as options instead of theme mods can’t be imported.